Ericsson feels flush from operator investment. “We continue to invest in our competitive 5G-ready portfolio to enable our customers to efficiently migrate to 5G,” declared Börje Ekholm, Ericsson CEO. “Operators around the world plan for launching 5G services, led by North America." The advent of 5G has come at an opportune time for the world’s leading network equipment manufacturers, with 4G saturation leading to a decline in key markets like Radio Access Network. The world’s first 5G network has been launched by Verizon in the US, offering Fixed Wireless Access (FWA) broadband services in major cities and other American carriers are expected to follow suit. 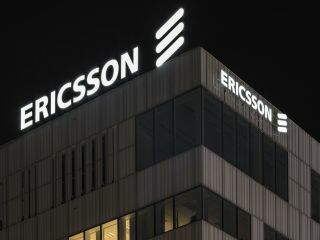 Ericsson has been keen to snare a sizeable portion of this early market, investing in manufacturing, sales and R&D facilities in the US to speed up deployments and get closer to customers. However because of its success in this third quarter, it has warned that seasonal fourth quarter growth may not be as high as usual. If there is one fly in the ointment, then it’s that an ongoing bribery investigation by the US Department of Justice and Securities and Exchange Commission (SEC) that could lead to a financial penalty. It is alleged that some executives were engaged in corruption in some markets and this has led to the departure of several staff. Ekholm said Ericsson had been voluntarily cooperating with the investigations since 2013. “We have identified facts that are relevant to the investigations and these facts have been shared with the authorities,” he elaborated. “We continue to cooperate with the SEC and the DOJ and are engaged in discussions with them to find a resolution. While the length of these discussions cannot be determined, based on the facts that we have shared with the authorities, we believe that the resolution of these matters will likely result in monetary and other measures, the magnitude of which cannot be estimated currently but may be material.